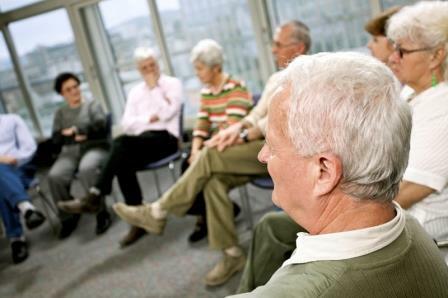 An Aphasia Support Group, led by Drs. Tamara Cranfill and Sue Mahanna-Boden with assistance from Communication Disorders graduate students, meets monthly in Richmond to provide support and instruction regarding the communication impacts of aphasia following stroke and acquired brain injury. Individuals with aphasia and their partners/friends are welcome. Students are given the opportunity to interact with clients and caregivers that are learning to live with aphasia and related disorders.